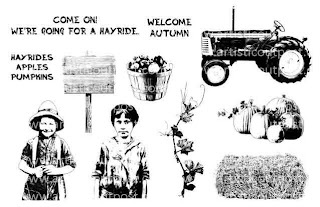 This month Artistic Outpost is releasing two stamp sets! These sets can be used on their own, and also look wonderful when combined with many of the other plates Artistic Outpost has to offer! 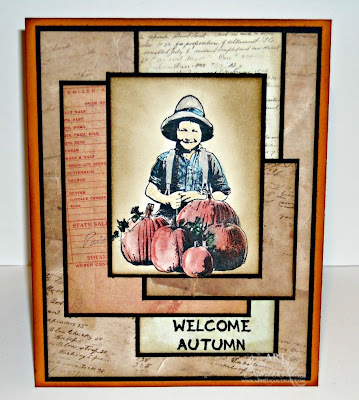 My card features the sweet boy and pumpkin images from the Hayride plate. The pumpkins are stamped in Black Archival on Vanilla card stock, then masked with Eclipse Tape. I used a SAMJ to find placement for the boy, stamping him in Black Archival. The images are colored with STAEDTLER Ergo Soft Watercolor Pencils, blending with Gamsol. The panel was then sponged with Ranger Gathered Twigs Distress Ink, and the panel cut so the bottom pumpkin is outside the panel. 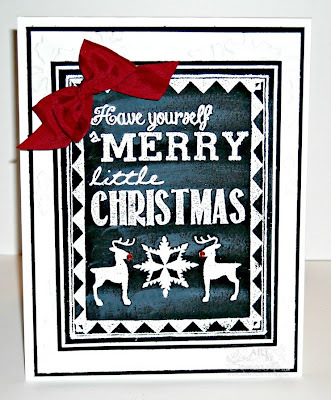 Using the Christmas Chalk stamp set, I created an easy to mass produce card, by using the White Embossing the frame, sentiment and reindeer onto Black card stock. After the panel was embossed, I smeared on some Picket Fence Distress Ink for a more realistic Chalkboard feel. 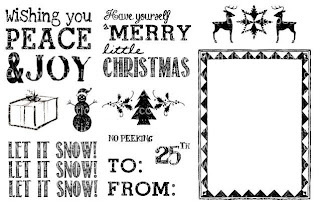 The large White background panel is embossed using the Alterations Snowflake folder. To embellish I added some Red Seam Binding and a few Zva Creative Crystal Gems to the reindeer. The Christmas Chalk plate features bold images with creative typography. 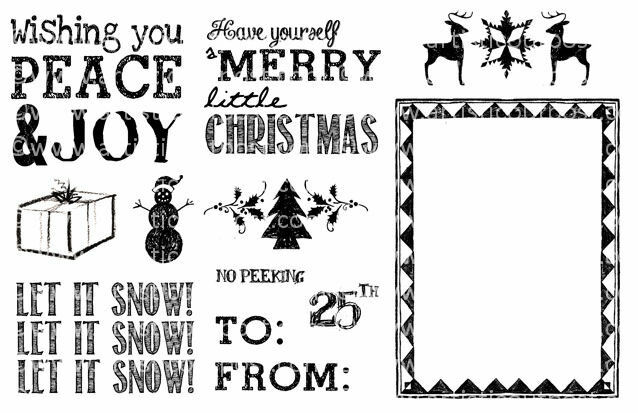 These holiday sentiments work great on their own and can also be combined with our Chalk it Up collection of frames and collage elements, to create some wonderful cards, tags and home decor projects! Adorable stamping of the boy with the pumpkins, and I love those bold black borders. Super smart chalkbaord Christmas card too! Thebackground layers look fabulous under that beautifull colored little boy. And the christmas card looks very elegant with all black and pops of white and read. Love how this one turned out! Great card on all those layers of stamping. Love the tag! Love the soft coloring on the images and the masking and layers are perfection! 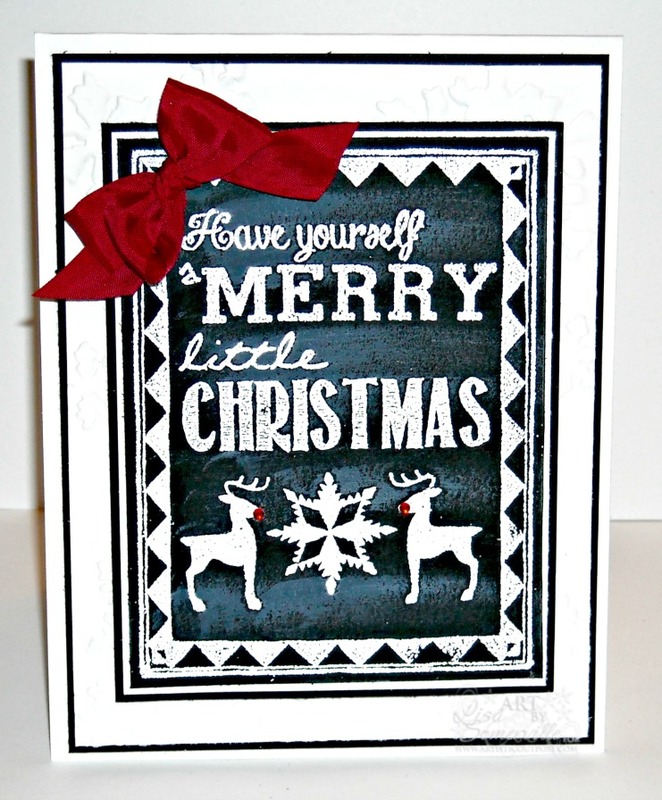 The chalky Christmas card is adorable and love the chalk feeling and pops of red! Stunning cards, Lisa! Beautiful cards, Lisa. I love your perfect symmetry in te layouts and layering. Beautiful. oh Lisa - I have not told you in awhile how much I enjoy your work .... just wanted to let you know - I still enjoy it! Your Boy with Pumpkins card is wonderful but I really love the Chalkboard Christmas one - it totally has that old time chalkboard feel to it. Precious boy there! Love the color! The new releases are wonderful! That Christmas card is gorgeous, love the colors and layout!